Dept. of Nursing, UNIBEN School Fees 2019/2020 | New and Returning Students. Dept. of Nursing, UNIBEN School Fees 2019… Dept. of Nursing, University of Benin school fees schedule for the 2019/2020 academic session has been released. Check below for more information about the updated school fees. This is to inform all the students of the Dept. of Nursing, University of Benin that the management has released the approved schedule of fees for the 2019/2020 academic session. All freshly admitted students of Dept. of Nursing, University of Benin are advised to pay their school fees for the 2019/2020 academic session early to the designated banks as approved by the school management. If you need us to help you with more updated information at the right time about Dept. 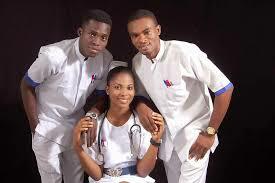 of Nursing, University of Benin School Fees 2019, kindly drop a message in the comment box below. Also feel free to ask any question pertaining to this guide.